The Yocan Evolve Wax Pen is a hassle-free, easy to use vape. With the Evolve pen, Yocan introduced the dual quartz coil which enhances the flavor providing a rich experience. Which is exactly why the Evolve provides a reliable vaping experience. 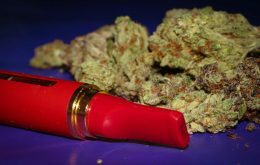 Our review will give you more insights on the wax pen allowing you to determine whether it is a good fit for you. The Yocan Evolve is a portable, sleek designed vape pen. It is pen size and can easily fit in your pocket or purse. It has a rubber grip that makes it easy to grip when in use and makes sure it doesn’t cause any discomfort when in your pocket. The coil design of the pen makes sure that the vapors slightly cool off before they hit your lips which allows you to get more flavor. The overall design is perfect for use, it is portable and the rubber grip makes it easy for you to hold on each drag. The build of the Evolve is of great quality, it is a durable vape. It comes with two atomizers and a splash guard so there is no splatter. The fact that you get two atomizers means that you don’t have to worry about getting a replacement for months. The Evolve comes with a dual-quartz coil that provides rich flavor and denser cloud production. However, it doesn’t have an option to control temperature which slightly affects its performance. The power button is the only way to control the temperature which basically turns the pen on and off. The flavor is consistent throughout from the moment you start it to the end. The battery life is pretty much average when compared to other vape pens. It has a 650mah battery and if you smoke daily then you will probably have to charge it once a day. If you are a casual smoker than you probably could get a few days out of a single charge. Overall, the Yocan Evolve is a simple vape pen that is perfect for those that are starting off with a wax pen. It is easy to use with the user just having to press the power button to turn it on and the pen does the rest. It is portable and easy to carry which is why many would prefer this pen over others. Wax vape pen has become rather popular and come in different sizes. 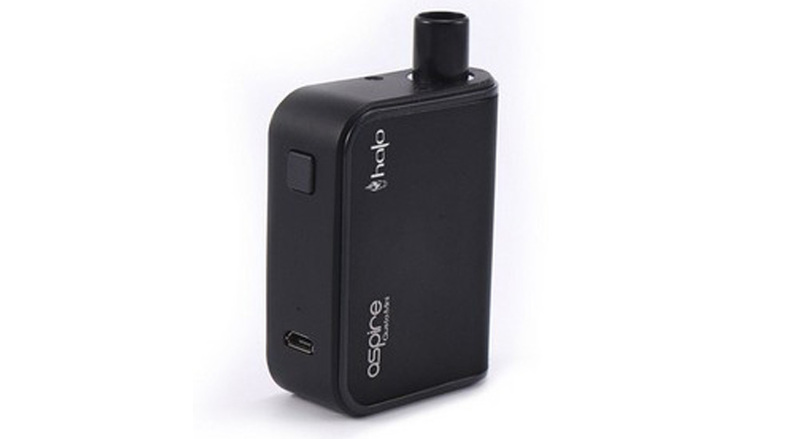 They are smaller in size compared to other types of portable vaporizers. The wax vape pen has a battery and small wax chamber which is all that is required for it to work. The reason why it comes in different sizes is because of the herbal chamber, you can find bigger wax vape pen for more to put in the chamber. It also has a heating coil, which makes sure that the herb is properly heated so you get equal heat distribution in the chamber to get the best drag. Operating a wax vape pen is easy and our guide will help you get used to it. Most wax vape pen needs a bit of time to turn on, you need to click the power button 5 times which will initiate the blinking light. The power light should be on and make sure the coil is too. You can then put the wax paper on the coil but make sure it is on otherwise you will end up wasting the paper. You need to remove the mouthpiece from the chamber and take the dab tool and scoop a small piece of wax with it. If you don’t have the tool, you can use a paperclip. Put the wax you pick up on to the coil but do it gently. Doing it hard can lead to you breaking the coil. Press the power button again and the wax will begin to melt. It should vaporize immediately so put the mouthpiece back on and you can start smoking. You will notice that the smoke will get stronger as the wax starts to burn more. The concept of Squonk came about in 2009 and was perfected by REO in 2010. Squonk is becoming more popular with vapers as it is a bottom feeder vape. It has a squonk hole in the body which allows you to press the bottle so the liquid is filled with extra pressure into the atomizer. The design has drastically changed since then and you find squonk with a different range of atomizers and more modern looking. When selecting a squonk, you want to pay attention to the atomizer employed along with your budget. Usually, the higher end squonks are harder to get your hands on since they have a long waiting list. We have a list of 4 squonks that are the best in the market. The GeekVape Athena is an attractive and compact squonk that offers you everything you would want. It has a solid construction and very durable. 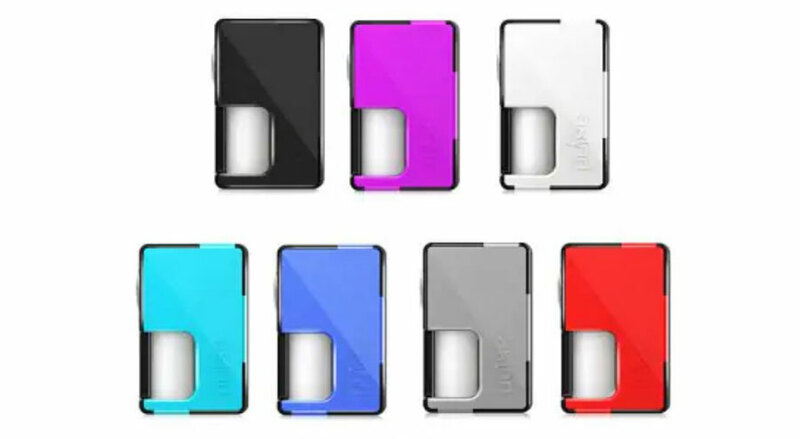 The compact design of the squonk allows you to easily carry it around in your pocket. It comes with a bottom feed dripper along with an additional squonk bottle. To ensure it safely tucks into your pocket, it comes with a safety button. It also has a mechanism that ensures the liquid doesn’t leak even if you over squonk. Which is why this is perfect for beginners. 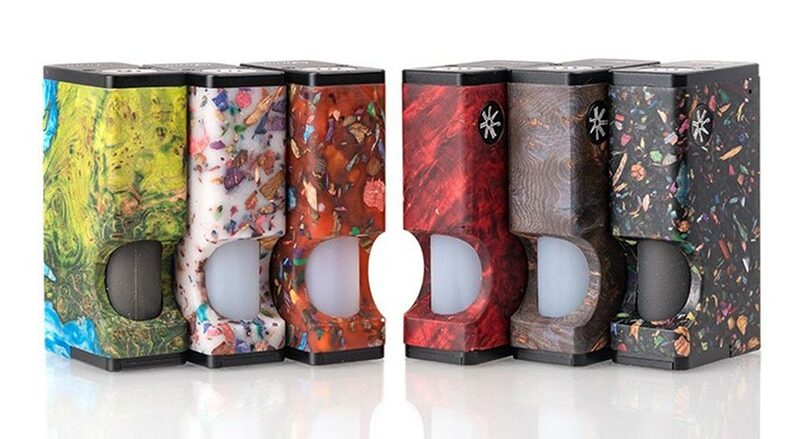 The Asmodus X Ultroner Luna Squonk comes in a funky body with six different designs to choose from. 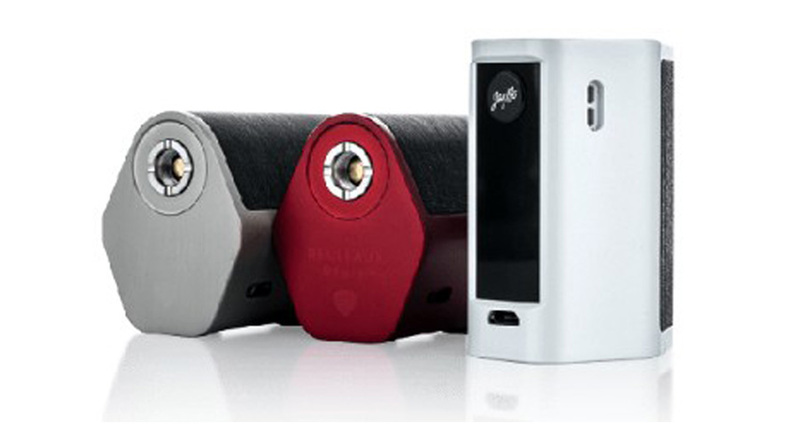 It comes equipped with a 18650 mod which has the capacity to have an output of up to 80 watts. The firing button on the Asmodus X Ultroner Luna Squonk is oversized which allows you to squonk whenever you want. It also comes with a UL-80-JX chipset which ensures that while using and when put away, the squonk is completely safe. If you care about performance and style then this squonk is a great option. 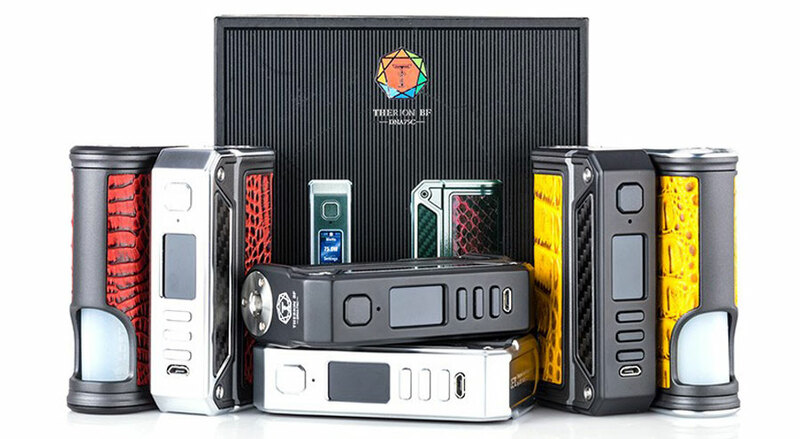 If your budget is limited yet you still want a squonk that is powerful then give the Vandy Vape Pulse BF a try. It has a mechanical box mod that hits hard using a 18650 mod. The body is made out of nylon which is fairly durable and makes the squonk lightweight. The fire button is exactly where you would like it to be so you can press it when you please. 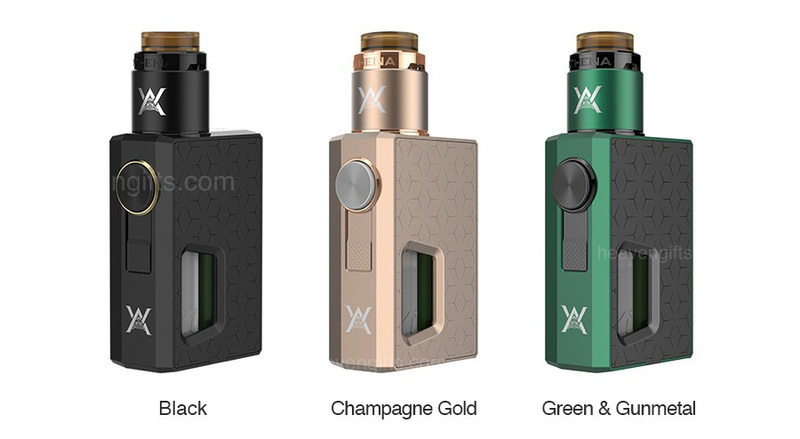 At the price point, you would think the squonk is not going to be that amazing but the Vandy Vape Pulse BF will surprise you. 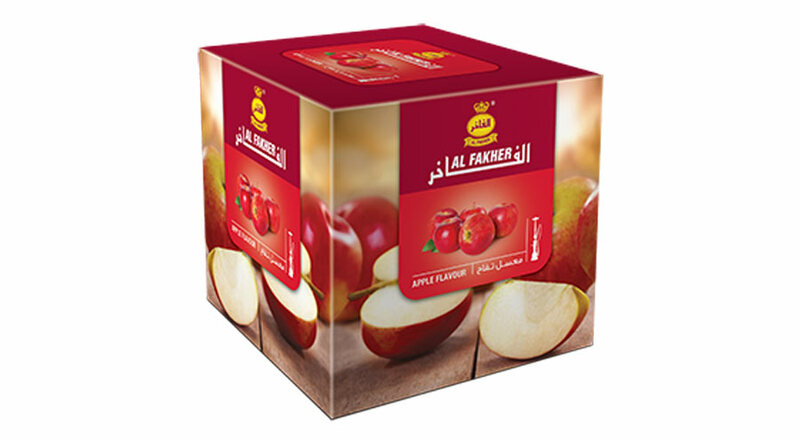 Al Fakher has been in the tobacco production industry since 1999. Based out of the United Arab Emirates, the tobacco producers take pride in providing the finest tobacco. They pay close attention in the flavor-infusion process, getting flavors from Europe to offer clients tobacco that is rich and top of the line. That is why the company is well known to avid hookah smokers. The tobacco producers have three different range of tobacco: standard, golden, and special. You can find the review of each of the different range of their tobacco below. The standard range is the basic quality of tobacco Al Father offers. Within the range, you get a variety of categories such as: aromatic, minty, sweet, fruity, tropical, creamy, and after dinner. Within each category, you have around 10-15 flavors to choose from. In the standard range, our favorite flavor was gum and two apples. The flavors within this range are fairly strong but don’t have a lasting impression on you. It doesn’t last too long, but you will definitely taste the flavors you select. If you aren’t an avid shisha smoker and do it recreationally then the standard range is a good choice. 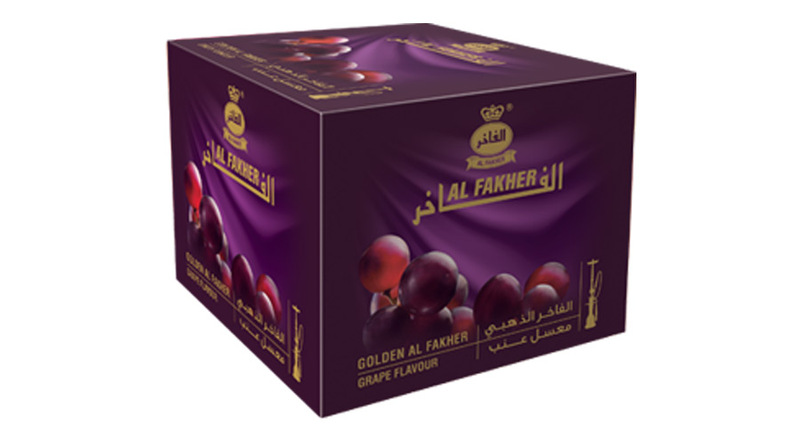 More avid shisha smokers would probably prefer Al Fakher’s golden range. The tobacco is of a much finer cut and blend. The blend of ingredients is richer, in the sense that you get a juicier and wholesome flavor. The range doesn’t have as much a variety as the standard range with only seven flavors to offer. We tried the golden strawberry and golden two apples and immediately sensed a difference from the standard range. The golden two apples packed a lot more flavor and the impression lasted longer. While we didn’t try the strawberry flavor in the standard range, we are sure golden strawberry would be much stronger, in terms of flavor. This particular range is definitely for the shisha lovers. Hubbly tobacco which is also known as hookah was introduced roughly five centuries back in the Middle East. Countries that first started using hookah are Egypt, Persia, India, and Turkey. Initially, it is believed that hookah was constructed using wood and coconut. Hookah itself was used to smoke hashish and opium at the time. The use of hookah is still very much popular in Middle Eastern tradition. Since then, it has gained a lot of popularity around the world. You can easily find hookah cafes in the majority of countries around the world and the trend is seriously picking up amongst the youth. So what is hookah and why is it so popular? Hookah is a pipe that is used to smoke tobacco. The pipe utilizes cold water and heat to generate smoke from the tobacco you put inside. You heat the bowl at the top and smoke is generated which trickles down to the water, which filters the smoke. As far as the tobacco used, you don’t use the general tobacco you find in cigarettes. 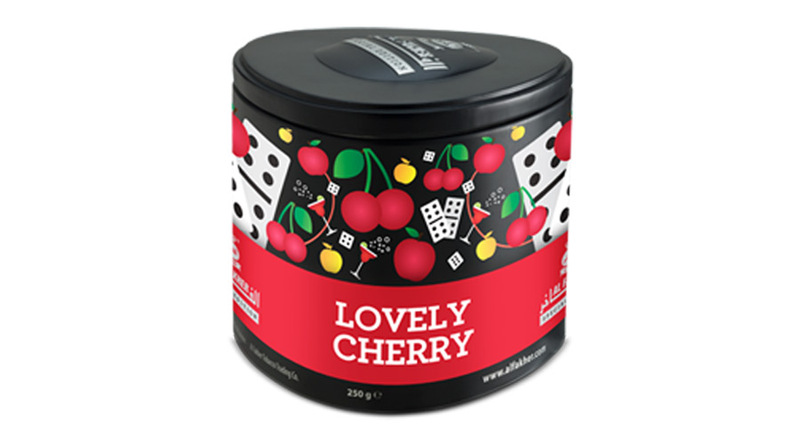 Flavored tobacco is used and there is a wide-variety of flavors from fruit-based flavors to custom-made flavors offered by hubbly tobacco producers. Is smoking hubbly tobacco harmful? Most hookah smokers will tell you that the effects of hookah are far less than that of smoking cigarettes. There are some aspects in which hookah is slightly less dangerous than cigarettes. However, it has pretty much the same impact as cigarette smoking. The pipe delivers nicotine in the same manner that it is delivered to you in cigarettes. So you won’t really dodge the negative impact of smoking by smoking hookah instead of cigarettes. If you’re new to vaping or thinking about making the switch from traditional cigarettes to vaporizers, then you’ve come to the right place. In this section, we’ll provide answers to frequently asked questions about vaping. Vaping refers to the act in inhaling vapor produced from an electronic cigarette (e-cigarette or simply e-cig) or vaporizer. The vapor comes from materials such as e-liquids (also known as e-juices), concentrates or herbs. A vaporizer is an electronically-powered device that converts vaping material into vapor. 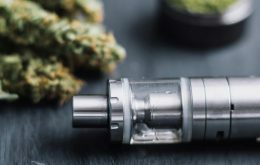 The device is generally comprised of a lithium battery, main body console with buttons for applying and adjusting heat, and RDAs or atomizers (more on these later). 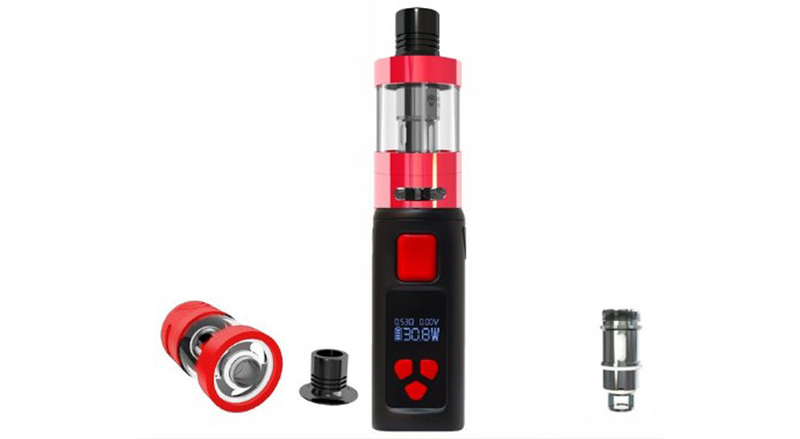 The battery provides the power to heat gauge wires in the atomizer/clearomizer/cartomizer which then transforms the vaping material into inhalable smoke. The majority of vapers use e-liquids, which is a liquid blend of vegetable glycerin, propylene glycol, nicotine (optional), various sweeteners or acidifiers, and an underlying flavor concentrate (e.g. fruits, creams, tobacco). Different vaporizer devices make use of different materials. How does it compare to smoking cigarettes? Compared to cigarettes, vaping feels moister and heavier depending on the material used to vape. Additionally, vaping can produce a pleasant aroma and flavor if using e-liquids. Some people say that vaping and smoking are incompatible in comparison in feel or satisfaction, hence not a true replacement for cigarettes. However, the ultimate the goal of smoking is to introduce nicotine into the body. With nicotine-laced e-liquids, vaping is just another nicotine delivery system to satisfy cravings. In terms of health, there is little conclusive evidence that vaping is more dangerous than cigarettes or vice versa. Studies are ongoing and aim at proving which smoke can cause more long-term damage to the lungs and body. However, when comparing the ingredients list of what’s in an e-juice and a cigarette, it’s clear that cigarettes contain significantly more hazardous materials to the body than e-liquids. An RDA (rebuildable drip atomizer) is a detachable piece on the vaporizer device which is used for burning materials and inhaling the produced smoke. It is a stand-alone feature which uses a heating element (thin gauge wire) to vaporize the materials. They are an essential part of operating a two- or three-piece vaporizer. The method of applying materials in an RDA is done by simply dripping the liquid into the RDA. Within the RDA is the coiled wire and cotton which absorbs the liquid and is heated through the coils, producing inhalable smoke. With an RDA, the vaporizer doesn’t require a clearomizer or cartridge since the liquid is dripped onto the cotton when needed. The biggest benefit of using an RDA is that it produces a fresher, more flavorful vapor. As long as the RDA is kept clean and the cotton is changed regularly, the flavor profile of the e-juice will become more prominent. The e-juice is not left for long periods in the cotton since it is burned up after each vaping session. Many so-called “vaping purists” swear by dripping as the only way to go. In instances of accidentally burning the cotton wick, the process of replacing the cotton is simple: just take out the ruined piece and replace with a fresh piece. The most obvious problem with RDAs and dripping is the inconvenience of taking the RDA apart, applying the liquid to the cotton, reattaching the mouthpiece, and vaping. It may not sound like a big deal, but if you consider that each cotton absorbs enough liquid for roughly 10-20 hits before burning dry, then it can be a constant battle of will to not switch to a cartomizer/clearomizer. In addition to the inconvenience is the residual mess of the whole process. Applying e-juice to the cotton can be simple, or it can leave your hands and device in a sticky mess. As an extra safety measure, when using e-liquids containing nicotine, use gloves whenever dripping the e-juice into the RDA to prevent exposure to the potentially toxic chemical. A cartomizer is a key component to the three-piece setup. Often referred to as a “tank”, cartomizers are an e-juicecontainer which can hold several milliliters of the liquid, eliminating the need for constant refills like in the dripping process. Using a cartomizer basically means that you can go on extended vaping sessions without the need to refill the tank. Using clearomizers can be a hassle since the refilling process is more complicated. You don’t just open the mouthpiece and drip the liquid onto to cotton, but you have to tilt the tank at an angle to prevent any liquids from falling into the central air ventilation hole. Using a syringe can be extremely helpful in the refilling process, but carrying a syringe at all times can make you appear suspicious. To make matters worse for the clearomizer, if you accidentally burn the cotton when it is not properly saturated with liquid, then replacing the cotton piece is a long and meticulous process of opening the clearomizer, opening all the smaller components, taking out the wick, replacing the wick with an equally sized small piece of cotton, and putting the device back together. If you’re a beginner vaper then perhaps avoid using clearomizers for the time being. You can only get so much help looking at online tutorials or asking friends before they get impatient and give you the same advice you received here: stick to using an RDA. With so many vaporizer brands and models out there, choosing the right beginner kit can be a daunting task. The first thing to do is to eliminate all of the product categories that we don’t want until we’ve reached a final conclusion. Manufacturers make vaporizers in all shapes and sizes. The shapes range from plain rectangular to grenade to ridiculously short and fat. Whatever size fits you, go with that. Most vaporizers come with the same features. What differs among brands or models is how high the voltage, wattage, and ohms can go. Some brands offer more flexibility in reaching you ideal heat preference, while others contain simple heat readers. After selecting the right vaporizer device, the next step is to purchase the RDA or atomizer. Take a look at the market and select based on what you think is best, and not necessarily best-looking. These mini-sized torches were built for comfort. These torches range from 5-inches and 5.5-inches in height. The moderate size and weight of this torch makes it perfect for trips and home use. Newport Zero’s normal-sized torches are 6-inches in height and deliver concentrated heat with adjustable flame size. Slightly taller than their mini-sized counterparts, they pack an extra punch when it comes to lighting up. Its size makes it the perfect tool for taking on outings or showcasing. The jewel of the company’s butane torch catalog is the jumbo, 10-inch tall butane torch, built for style and ultimate performance. This torch is a heavy duty camping necessity and cigar-lighting overkill. The sheer size of the tank will definitely draw eyes. Newport Zero Pen Torches were designed for simple and portable use. These easy to use torches are pencil-shaped, one-touch operational, and the precision flame tip can burn up to 2,500°F. The piezoelectric ignition system does not require an electricity to get things started. The fit on top torch is a simple contraption which is placed on the head of a Newport Zero can of butane gas, and has a feature to adjust flame size. These torches were designed for the casual user and come equipped with a flame-lock for uninterrupted use as well as a child-lock safety system. These tops are simply screwed onto the head of a Newport Butane can and you’re ready to start. 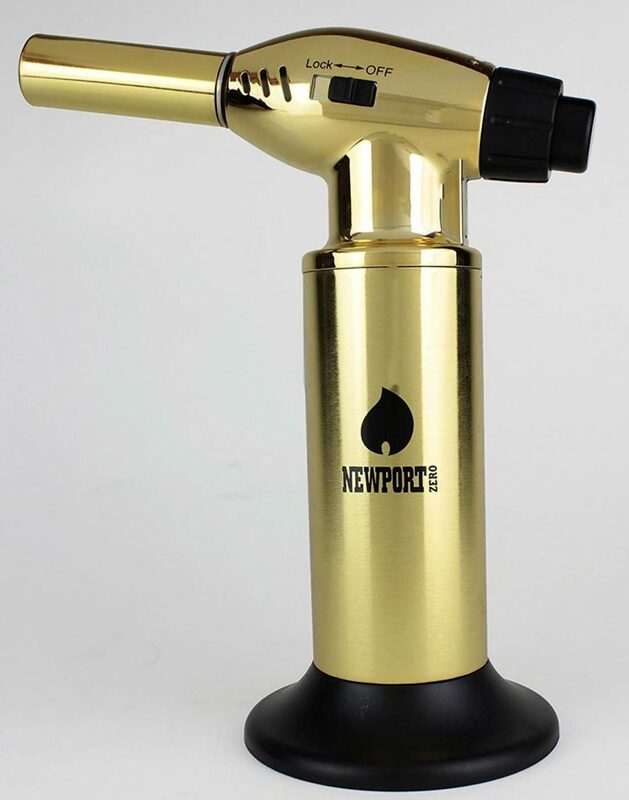 Newport Zero produces their butane torches with safety and simplicity in mind. Refilling the fuel tank is a cinch, and the piezoelectric igniter makes the torch just that much easier to use. Newport Zero provides three design templates for their torch products, namely Classy Solid (solid white, black, gray, pink, etc. ), Luxury Colors (metallic or reflective surface), and Special Designs (Rasta patterns, Yin Yang symbols and dragons). If you’re looking to personalize your butane torch, Newport Zero also offers engraving services for your self-picked text, logo, or picture. (Note: drug-related texts and images are not accepted). The world is saturated with tons of butane torches for lighting cigars or taking on camping trips. However, it appears that Newport Zero butane torches are easily lost among the infinite sea of torch manufacturers. There’s nothing really special with Newport Zero’s catalog of torches, but the designs and customizability are pretty fascinating. When it comes to size, there will be people who are more comfortable with small or large torches, and Newport Zero caters to them all. In terms of functionality, all sizes perform similarly in providing a constant, concentrated flame in which to light cigars with. 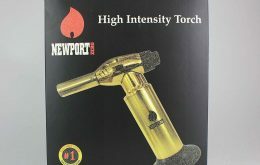 If you’re looking for performance for a cigar burner, then Newport Zero’s array of butane burners is definitely worth noting. For some of their products, their torch’s flames are indeed as concentrated as the company promises, and the adjustable gas flow is easy to conrtrol. If anything, the unique designs and fancy color schemes should be an attractive enough feature to make the purchase. However, if you’re looking for value, then a regular stick match or Bic lighter can easily get the job done, albeit without the panache that Newport Zero offers. One issue with the torch is its lifespan. Each torch comes with a lifetime warranty from manufacturer which protects the user from certain defects. However, some customers have expressed their dissatisfaction with the post-purchase services offered by the company. After “normal” use of one year, some people found their torches either leaking fuel or not turning on at all. In most cases, it’s a simple problem that can be attributed to accidental mishandling of the product, but for others the problem existed upon unboxing the torch. This just goes to show the durability (or lack thereof) of the product to withstand travel and constant usage. Another problem found in some of the large 10-inch models is that they do not come equipped with safety lock features, allowing for a hassle-free flame. This can be considered either a pro or a con, depending how you look at it, but in the end you’re not carrying the 10-inch torch on you. However, if left in a roughly handled bag, this could cause problems as the gas can accidentally be released and sparked. 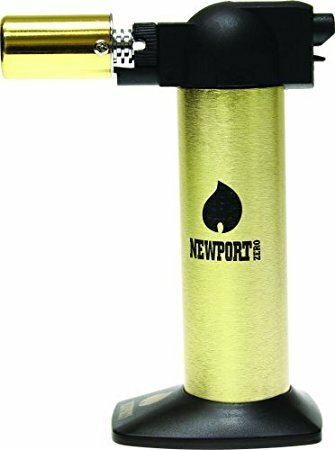 Newer models of the company’s butane torches come with the safety lock system, so if safety is a priority then opt for Newport Zero’s latest torches. Before purchasing a butane torch from any manufacturer, please collect as much information as possible regarding the product’s safety lock system. Newport Zero has active customer service reps who are eager to answer any lingering questions you may have. Butane torches come and go, and for many it’s a simple purchase and repurchase from the same company. However, for Newport Zero, their torches don’t stand up to the hype they built. Newport Zero is definitely making an effort to enhance the quality of their products by ensuring safety lock features on their latest models, but the damage is done. These torches are perfect for single-use and maybe not even then. Mishandling of the product during shipping is a definite possibility when receiving opened boxes or missing components, but it’s hardly an excuse for the company to turn a blind eye to their shoddy materials and questionable manufacturing. It pains me to say this but Newport Zero hasn’t fulfilled their promise. I used to be a regular with Newport Zero and bought several of their 6- and 10-inch models, but the last few buys just left me shaking my head. I truly hope that the company gets their act together (and fixes their website since the text seems misaligned in certain pages) and fulfills their promise of quality and easy use, but I’m not hopeful. 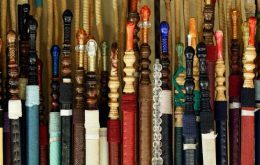 A shisha pipe, commonly referred to as a hookah pipe, is basically a water pipe with one or several hoses attached to the base for inhaling aromatic smoke. A pipe and bowl hold on to the tobacco bricks laced with an aromatic essence (strawberry, chocolate, or coffee). These pipes come in a selection of shapes and sizes and are sold in almost every country in the world. Most shisha pipe smokers prefer using this device as a smoke delivery system because of the several benefits it has over traditional cigarettes. However, it also comes with its fair share of drawbacks that people need to consider. Of course, the ideal lifestyle would be to avoid tobacco at all cost, but for 1.1 billion tobacco smokers in the world today, this is much easier said than done. 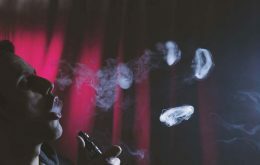 If you’re a cigarette smoker who’s unsure whether using a hookah pipe is an upgrade or a downgrade, you can take a look at our list of pros and cons of smoking from this apparatus. Spoiler alert: the cons far outweigh the pros. Compared to cigarettes, smoking from a hookah pipe is just a tad bit healthier. This is due to the more superior filtration process in which the smoke which comes from the tobacco bricks is sieved through the water base of the hookah pipe. The water filters out some of the toxins and chemicals used to shape the tobacco bricks, which in turn produces a cleaner, smoother smoke when it enters the lungs. However, cleaner does not mean healthy. We’ll discuss this point in the cons section. We talked a little bit about the smells that can be infused with the tobacco bricks. Although the brick is mainly tobacco, the flavorings and essences introduced to the bricks overpower the unattractive smell of tobacco. Thanks to the various aromas, stepping out of a hookah café won’t leave you smelling like death. In fact, you’ll end up smelling a lot like the aromatic tobacco brick you were smoking earlier. However, the smell is not a substitute for cologne or perfume since it’s only temporary and will blow away as soon as the wind blows. Because of the way the tobacco bricks are manufactured, there is a reduced risk of leaving residual marks on your teeth compared to traditional cigarettes and cigars. Compared to cigarettes, smoking for a shisha pipe is much better for your oral health. However, over time and continued use of hookah pipes, your teeth can end up being as stained as a cigarette smoker’s or a coffee drinker’s. Just be sure to brush your teeth at least twice a day or follow your dentist’s recommendations. This may seem insignificant, but one of the most prominent reasons why people go to hookah bars is to enjoy several aromatic tobacco bricks together. The shisha bong has multiple hoses connected to it so you don’t need to share pipes with others. The multiple pipes let others enjoy the same flavor you’re puffing on without any contamination, and it’s a great way to make friends with similar interests. Whoever says shisha smoke is less harmful than cigarette smoke is fooling themselves. First of all, introducing a foreign substance to the lungs is never a good idea, no matter how “safe” it may appear. 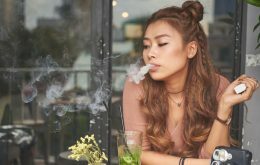 Cigarette smoke has gotten a lot of flak in the past for causing cancer, but unfortunately, shisha hasn’t received the same negative publicity. The enormous amount of tobacco smoke and a number of chemicals – including the infused essences to make the smoke smell better – are all harmful to your lungs, possibly leading to lung cancer and other health conditions down the road. It should be known that the exhaled smoke is just as hazardous as others as normal cigarette smoke would be. Granted, there aren’t as many chemicals as there are in cigarettes, but the second-hand smoke can still be harmful. The risk of contamination is much higher than compared to cigarettes. This is because cigarettes are less commonly known to be shared among a group of people than hookah pipes. Even though they come with multiple hoses, if the hookah bong doesn’t have enough hoses to go around, then people will put themselves at risk of contracting an infectious disease just to get a puff. If your group consists of perfectly healthy people, then this isn’t a problem, but hookah smokers can be just as unhealthy as cigarette smokers. Cigarette smokers are notorious for being unable to run for long periods of time. Even going up and down stairs can be a challenge, especially if someone has been smoking for almost their whole life. The fitness risks of cigarettes are also applicable to extensive hookah smokers. This means you’re putting yourself at the same risk of being less fit, less active, and requiring longer periods of time to regain strength and energy. If you are looking for a low cost, easy to use e-cigarette then the Vuse Solo is a great option. It has a classy look and feel and really provides the kick you would want from an e-cig that leaves a lasting taste. Made with a metal body, the Vuse Solo has a classy, sleek body that will make other e-cigs jealous. When you hold it between your fingers, it certainly gives you a wonderful feeling. For its price, the design of the e-cig is certainly top-notch. It has an elegant black cartridge that matches well with the metal exterior and a ring in the middle that lights up either green or red. 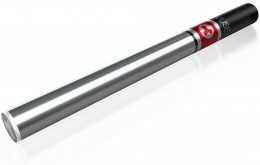 You won’t find a more elegant looking e-cig in this price range so it really hits the spot as far as design goes. Another feature that really puts it apart from other e-cigs in its price range is the strong and sturdy build of the Vuse Solo. The fact that it employs metal instead of plastic should already tell you that it is built to last. It locks securely and should last as long as the higher end e-cigs in the market. Which is quite remarkable since it is priced so low. The Vuse Solo is easy to use, it’s as simple as plugging in the cartridge and taking a hit. It has a light on the tip which allows you to gauge the battery life, notifying you when it is low on battery. As far as vapor production goes, you can’t really compare it to the higher end kits. However, when you compare it to other e-cigs in its price range than the Vuse Solo is pretty much on par. A inhale of around 4 seconds will provide you with enough vapor to blow smokes and its thickness is quite consistent. It really stands out as compared to others in its class when it comes to the hit it gives your throat when you inhale. But beware, the added hit is due to the high content of nicotine the e-cig allows for, which is something you should definitely consider. 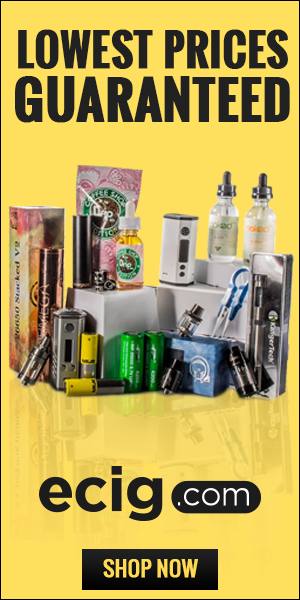 Overall, the vaping experience is on par with other e-cigs in the same price range.